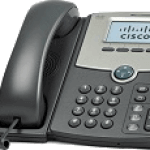 The flagship product in the Cisco small business 500 series of IP phones is the SPA525G. This phone is quite different from its siblings in so much as it features not just Ethernet network connectivity but Wi-Fi and Bluetooth for headset connectivity. There is also a USB 2.0 port for other headsets or accessories that use USB connections. The only quibble is that the Ethernet standard is 10/100 and not Gigabit Ethernet and if you want to utilize the Wi-Fi cable less mode of operation you need to buy a separate power adapter for the phone. This is because when using Ethernet the phone gets its power from the Ethernet cable coming from the Ethernet switch through PoE (power over Ethernet) standard so no power adapter is required. However despite this one annoyance, the Wi-FI configuration is excellent and it is provided through a Simple, secures wireless setup using industry-standard push-button WPS. This is the same method used to quickly install and configure Wi-Fi access points and it provides a quick method for provisioning the Wi-Fi enabled phone in the network with minimal configuration. 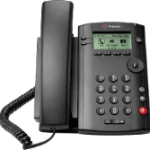 In addition there is also an embedded SSL VPN client, which is provided to ensure a secure and private connection to your hosted IP PBX over any public internet connection. 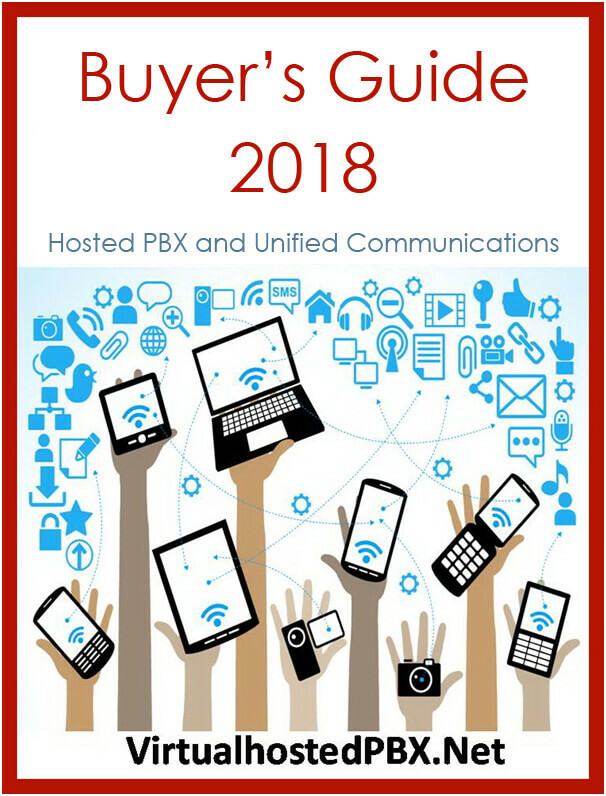 This is another great feature because securing the connection from the business to the service provider cloud over the internet is essential for privacy and security and normally requires an additional VPN device. However it is not just the connectivity options that differ between the SPA525G and its siblings. In addition there is a high-resolution 3.2-inch QVGA 320 x 240 color screen, which displays the status of all the indicators through icons for phone, call and presence. Additionally the phone also provides support for multimedia functions, such as playing MP3’s, displaying digital photos, viewing RSS feeds, and displaying video surveillance camera streams. 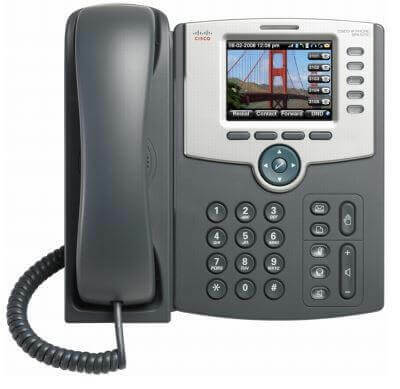 Furthermore the SPA525G provides 5 lines which are fully programmable and each line can be configured independently to use a unique phone number (or extension). If you wanted you could also configure lines to use a shared number that is assigned to multiple phones. 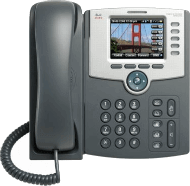 The flagship SPA525G provides a new level of small business user multimedia experience by providing not just HD voice and call handling features but also video with the capability to view photo’s, play MP3 and RSS feeds. The SPA525G is a very impressive phone but comes at a significant price at around $225 it is likely to be deployed sparingly in the SMB environment.